“We had already been looking at rings so I decided I wanted the time and place to be a complete surprise. Luckily she was working one weekend and had to go to work very early since she works in a hospital in the lab. I’m usually sleeping at that time, so I knew she wouldn’t expect to see me at 5 AM in the morning when she left for work. I woke up very early, brought dozens of roses that I had bought the day before and plucked, and created a trail of rose petals that led her from her door to the backyard where it ended in a heart with me waiting on the grass. Of course, the hardest part was waiting for her to open the door but when she did she followed the trail, found me and said Yes." The couple will be working with Michelle Rago to design their September wedding. We can‘t wait to see the pictures. 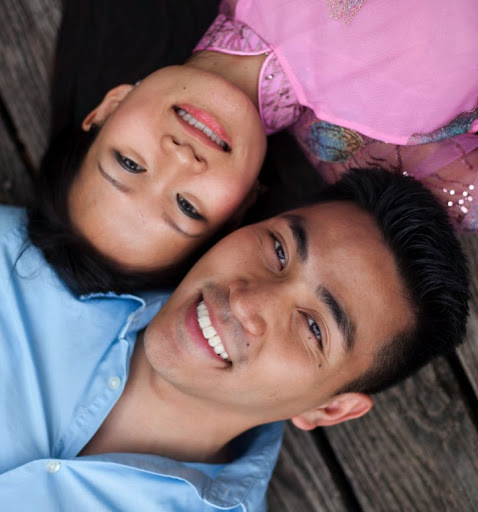 Congratulations to Philong and Nhu-Y!